Customers do not wait for a business to come to them anymore. Customers now know what they want to buy. They are now intelligent enough to use digital technology to find what they are looking for to buy. Whether you are a retailer of a brick and mortar store, an online business or a large membership-only warehouse club, customer service ranks first for repeat customers. I know that acquiring customer satisfaction can be hard but not impossible, and talk about tips and tricks in this post. With the creation of social media and many other outlets, customers can link with any business they want, as well as with each other. They have a voice, and when happy they let everyone know, and when they are not, they can kick up a storm. The best practice for great customer service is to keep up with the changing practices of your customers. Treating customers like they are just another number visiting you online, is like giving away your customers and repeat business to another brand. Statistics have shown that 66 percent of customers if handled like a number instead of a human being, will change brands. For most low-keyed businesses, customers are just people coming and going. Profit comes from customers and repeats customers. Online businesses need to get out of the mindset that customers are just there to spend their money. Businesses need to be consistent across all departments offering high-quality customer service throughout their store. If only one department has high-quality customer service, and the customer does business with other departments and is dissatisfied, statistics say that 73 percent of those customers will look for other brands. Customers are expecting both exceptional and consistent customer service. If they log in to your site on Saturday and get great service and then come back on Wednesday and get poor service, they will talk about that poor service to more people and find another brand. Many companies lose repeat customers because of poor customer care. Your representatives are the brand’s ambassadors of your business. Because of your representatives, your company forms and keeps connections with all your customers. In turn that keeps your business growing and profiting. When hiring, great consideration should be taken before trusting your business to just anyone. Make sure that the representatives you hire to come on board are knowledgeable, trustworthy and up to the task of handling online customers with great respect and care. The best way to attract the upper level of representative for your online business is to offer competitive pay, good benefits and define a clear path for promotions. Make the job fun with encouragement and rewards. When you hire and retain exceptional representatives, excellent customer care will follow. Customers have a tendency to expect the world to be handed to them, but a promise of handing them the world is not a great tactic. That kind of promise cannot be kept. A better way to handle customer’s expectations is to tell them what they will gain from your business, and then beat those expectations. When customers see that your representatives are willing to go above board to please them, you will not have to worry about unfulfilled promises. Make sure your representatives know how to communicate well with your customers. By interacting with customers, your agents can gather information with the right questions. This information can lead to great feedback, so your reps can manage all clients on a professional level. Customer needs always change, with the right information about your customers, you will be able to stay on top of their needs. Representatives that know how to converse with customers in a friendly manner will build a great customer relationship. 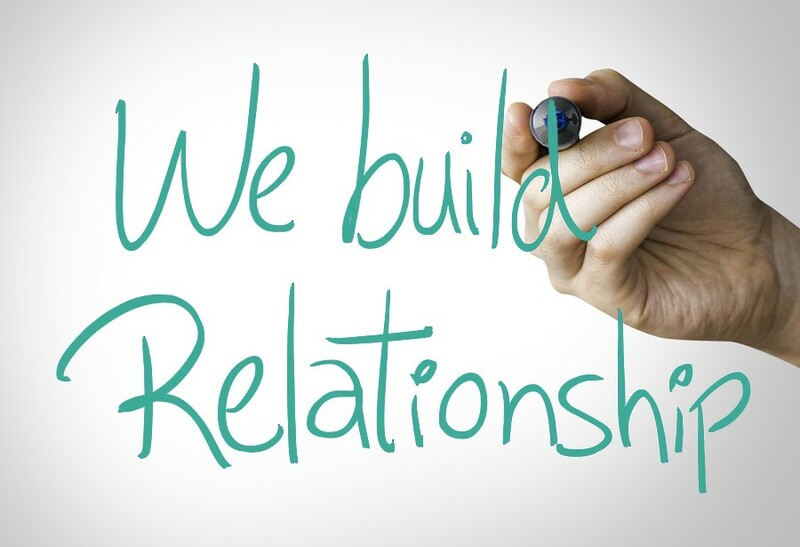 The use of proper customer relationship management will give the customer personalized attention and make them a repeat customer. Customer interactions come from the way they are treated and seen as clients or customers by the people that are helping them make decisions. CRM’s make it easy for representatives and business decision-makers to track the likes, dislikes, and histories of each client. This makes it an easy chore for reps and decision-makers to work together and access all the data from many different devices. Businesses can then turn traditional customer services into a personalized journey for each customer on a one on one basis. Statistics show that 82 percent of business decision-makers and 69 percent of consumers feel that personal attention is what makes loyal customers in any type of business. Amazon is a great example of how to establish a strong relationship with customers based on the Amazon sales statistics that show the loyalty of their customers. Their two-day free shipping and their Prime membership program are both good examples of customer care. Giving exceptional customer care is one practice that no company can afford to overlook. Clients and customers have many different outlets to find the products and services they want or need. As a business, you need to be on all those outlets as well. Starting with the basic telephone, mobile phones, live web chat, social media, online forums and more, a customer service center for your business will let clients and customers know you care to reach them. By being on multiple outlets it shows that you are not dictating to them on how they can reach your business. When a customer gives you advice, listen to them and then make as many changes as possible to satisfy your customers. Through social media, you can also thank your customers for their feedback. With dependable customer relations management, companies can keep their customers happy throughout all the outlets. Keeping trust with your customers is also important. Communicating with customers is a great way to build trust and create customers that are satisfied with your business. When you communicate with your customers, one thing to remember is that if they reached you on a social media site, then you do not want to make a personal phone call to their home. That would be inappropriate and not welcomed by your customer. It is easy to thank the many customers at the same time on social media. Businesses show their way of saying thanks by including some sort of a reward to all their customers. It could be as simple as, buy one toothbrush, get the second at half price or it could be a percentage off on certain items. It is easy to say that customers or clients come first, but staying focused on how they are treated is ever changing. It changes with new technology and new staffing in your business. Keep up with all the newest technology and make sure that all your representatives are trained in online customer care. As long as your representatives have the right tools and plenty of support, they can give your customers superior customer care. Make sure to reward your reps along their journey to serving your customers. Customers are the heartbeat of all businesses. Staying focused on your customers is the best practice you can follow to ensure a successful business. This Article is Very Greet And Article is Some Long But Content is Very interesting. Thanks for sharing excellent information. Your website is so cool. I’m impressed by the details that you’ve on this blog. It reveals how nicely you understand this subject. Bookmarked this web page, will come back for extra articles. You, my pal, ROCK! I found just the info I already searched all over the place and simply could not come across. What a great site.